Over the last 25 years our development team has become specialists in developing immunoassays that are successfully controlling infectious diseases in production animals. The robust and globally applicable assays are developed from start to finish in our own labs or in close collaboration with research groups around the world. 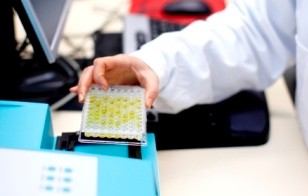 We are able to bring unique diagnostic solutions to market very quickly by combining yearlong knowledge about the development of diagnostic assays with research group’s solid expertise in the field of epidemiology and infectious diseases caused by different agens e.g. virus, bacteria and parasites.